"A Child Leads The Way, May Day ca. 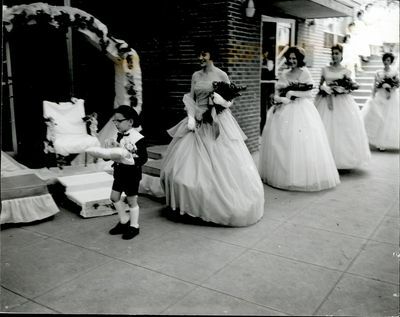 1960s"
A child leads the procession of students for May Day in front of Trentwell Mason White Hall. All figures present hold a bouquet of flowers.